I want to detail some of the tools used for job search on LinkedIn for basic membership. I do think you need to expand your job search, especially for managerial and c-suite level executives to include Google search. Read more on my WordPress pages. Two great PDF downloads from Reid Hoffman, cofounder and excecutive chairman of LinkedIn, and author of “The Start Up Of You”. “Using The Social Web To Find Work” free ebook from Chris Brogan (12/23/08). How To Ace A Telephone Interview And Get A Job. Watch it with a notepad – great checklist. A YouTube Video from the New England Job Show produced for job seekers, by job seekers.- from Bob McIntosh. LinkedIn A Must For Job Seekers Part I. Part II. Secrets Of The Job Hunt information, articles, podcasts and videos! Resume Bear has lots of great information and a fantastic blog article I will be posting more about on Monday called 50 People on Twitter Job Seekers Should Follow. For job seekers – please remember you can mask the visibility of Job Groups you are in on LinkedIn so you do not look like a job seeker. 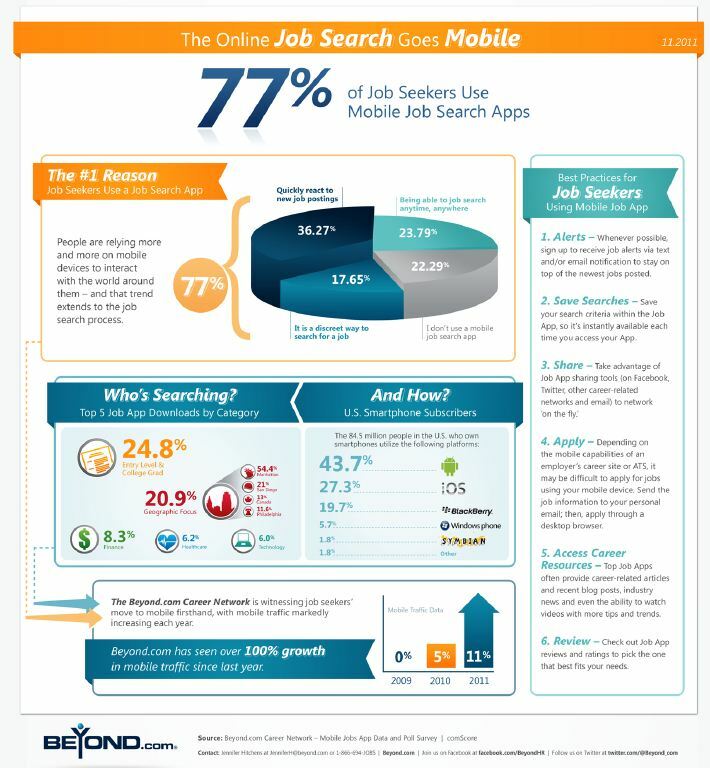 There was an interesting article a while back on Business Insider titled Infographic: Can Facebook, Twitter and LinkedIn Really Get You A Job? It also goes on to say: “Indeed, LinkedIn is the new hangout for corporate as well as agency headhunters, and many corporations have Twitter accounts and Facebook pages.” And further states that it is beneficial for job seekers to be on at least one of the top three sites – Facebook, Twitter or LinkedIn. Click on image to link to site. Note: I have only personally tested simplyhired.com. They also have apps for your smart phones. LinkedIn Signal has been discontinued.